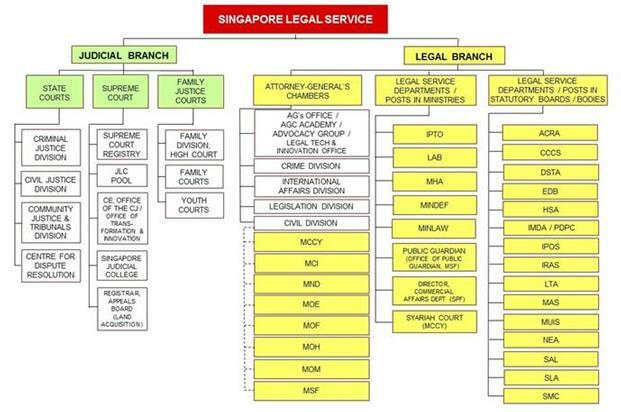 There are about 693 Legal Service Officers (“LSOs”) in the Singapore Legal Service. Although they comprise about 10% of all practising lawyers in Singapore, these officers play a vital role in administering justice and upholding the rule of law in our country. The Legal Service consists of two branches - the Judicial Branch and the Legal Branch. LSOs appointed to the Legal Service may be posted to either branch in the course of their careers.